Thank you for choosing Elevate Dental Wellness. We are the Roaring Fork Valley's only biological dental practice with a primary focus of the prevention of disease and comprehensive dental treatment. It is our mission to provide our clients patient-centered, high quality, total health and wellness focused oral healthcare. 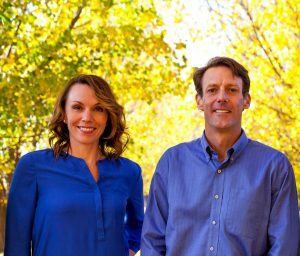 Dr. Schuyler Van Gorden and Dr. Rebecca Steinbach are excited to provide their patients the highest quality dental care that not only benefits their mouth, but also their entire well-being. With 25 years of combined experience, Drs. Van Gorden and Steinbach have dedicated themselves to the practice of quality, biological dentistry. The school of thought surrounding biological dentistry hinges on the idea that care shouldn’t just support your oral health, but your holistic well-being. To do this, Elevate Dental Wellness offers cutting edge, effective techniques that include natural remedies, supplementation, biocompatibility testing and safe mercury removal. Throughout the development of their practice, Drs. Van Gorden and Steinbach have researched the importance of maintaining oral health for the benefit of total body health, the role toxic mercury plays in disease, how to protect themselves and their patients by removing mercury safely, ozone therapy, the reasoning behind offering biocompatible dental materials testing and more. To learn more about services and how we can best serve you, please see our Services Overview. We work to help you achieve the highest state of health by recognizing that your past, current and future dental treatment has significant impact on your overall health. We use a combination of traditional and emerging therapies to ensure the dental treatment you receive benefits you in many ways for years to come. Every patient is unique, and we are committed to providing you treatment that takes more than just your oral health into consideration. Together, we will create a comprehensive plan that addresses your dental needs in the least toxic manner possible and in a financially responsible way. We focus on your comfort and building trust in the entire team at Elevate Dental Wellness. We look forward to working with you, and your entire family! "I've been in this valley for 19 years and have seen every dentist from Aspen to Glenwood - Elevate is on another level."